Skip was born in southern California in 1950. He was a star athlete in high school and signed a contract to play professional baseball at age 17 for the Los Angeles Dodgers in 1968. After several years of playing professional baseball with the Los Angeles Dodgers and New York Mets Skip changed careers to play professional tennis. Skip's professional athletic careers spanned well over a decade. During this time as a professional athlete, Skip developed a strong interest in ultimate performance and physical excellence. He started studying all subject of human performance, including health, fitness, nutrition and related subjects. His interest quickly expanded to intensive research into the subject of human aging, degeneration, illness and disease. In his mid 40’s, Skip began to notice symptoms of aging and degeneration. Medical doctors told him this was normal for a person of this age. Skip sensed that his so-called normal age related symptoms were not normal as they were not consistent with health and a natural aging process he had been studying for many years. At age 50 Skip father passed away with several degenerative diseases. Shortly after a very close friend around his age died suddenly of cardiac arrest while walking on the beach one afternoon. Then another close friend began rapid physical degeneration and was diagnosed with several common age related ill health problems that were threatening to shorten his life. Because of these unfortunate events and his intense interest in health and fitness, Skip decided to go back to intense research and study in an effort to find the answers to aging gracefully, naturally and perhaps find the secrets to slow, or even reverse the degenerative aging process. Skip used the knowledge he gained over the past several decades along with the discipline he developed as a professional athlete to not only become a naturopathic doctor but also improve his health by achieving the goal of ultimate personal health. At age 60, Dr. Skip has achieved remarkable health. With a waistline and weight similar to that of his professional athletic days, over 40 years past. Dr. Skip currently has a resting pulse rate in the 40's, better than perfect blood pressure, his vital signs, overall health and fitness are better than perfect. Dr. Skip's goal is to pass the secrets of ultimate health along to as many people as possible through his books, seminars, workshops and product line in a effort to help people achieve harmony with nature and gain the most valuable possession in life, ultimate health. God willing, Dr. Skip will reach tens of thousands with his valuable message of ultimate health and save many lives and limit ill health suffering in the process. Dr. Skip is known as one of the healthiest and fit among his close friends. 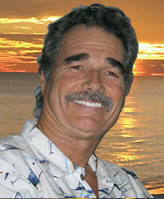 He has subtle but firm confidence and enjoys sharing his vast health knowledge and wisdom with others. He has a very organized speaking style that makes difficult subject very easy to understand. According to scientific research well over 90% of the worlds population has one or more ill health issues. This means almost all us need to learn what Dr. Skip teaches, (the most valuable lesson in life) how to attain and maintain ultimate health. He uniquely combines good old common sense with solid scientific fact to deliver an extremely powerful message of ultimate health. Let's all stop making the doctors and drug companies rich by become ultimately healthy. Whether your a child, a mature adult or a senior, a men or a woman, rich or poor, famous or not, everyone stands to learn from Dr. Skip’s valuable message of ultimate health, wellness and vitality. * “His events are fun and inspirational"
* "I never knew how easy it is to become ultimately healthy"
* "Dr. Skip truly walks his talk, he inspired me to take positive action"
* "Dr. Skip makes the complex subject of health simple to understand"
* "I learned the most valuable lesson of life, how to achieve ultimate health"
* "This is the best presentation on health, nutrition and fitness in the industry"
* "He knows more about health, fitness and human behavior than anyone I have ever heard"
* "I found his ultimate health presentation easy to understand, extremely valuable and motivating"
* "After attending Dr. Skip's ultimate health workshop, I believe anyone can become ultimately healthy"